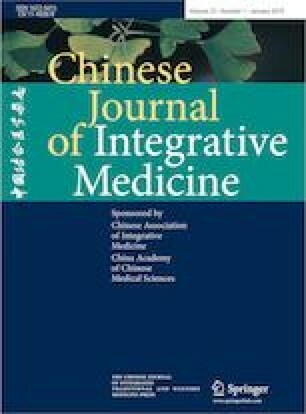 To evaluate the effectiveness of integrative medicine (IM) on patients with coronary artery disease (CAD) and investigate the prognostic factors of CAD in a real-world setting. A total of 1,087 hospitalized patients with CAD from four hospitals in Beijing, China were consecutively selected between August 2011 and February 2012. The patients were assigned to two groups based on the treatment: Chinese medicine (CM) plus conventional treatment, i.e., IM therapy (IM group); or conventional treatment alone (CT group). The endpoint was major adverse cardiac events [MACE; including cardiac death, myocardial infarction (MI), and revascularization]. A total of 1,040 patients finished the 2-year follow-up. Of them, 49.4% (514/1,040) received IM therapy. During the 2-year follow-up, the total incidence of MACE was 11.3%. Most of the events involved revascularization (9.3%). Cardiac death/MI occurred in 3.0% of cases. For revascularization, logistic stepwise regression analysis revealed that age ⩾ 65 years [odds ratio (OR), 2.224], MI (OR, 2.561), diabetes mellitus (OR, 1.650), multi-vessel lesions (OR, 2.554), baseline high sensitivity C-reactive protein level ⩾ 3 mg/L (OR, 1.678), and moderate or severe anxiety/depression (OR, 1.849) were negative predictors (P<0.05); while anti-platelet agents (OR, 0.422), β-blockers (OR, 0.626), statins (OR, 0.318), and IM therapy (OR, 0.583) were protective predictors (P<0.05). For cardiac death/MI, age ⩾ 65 years (OR, 6.389) and heart failure (OR, 7.969) were negative predictors (P<0.05), while statin use (OR, 0.323) was a protective predictor (P<0.05) and IM therapy showed a beneficial tendency (OR, 0.587), although the difference was not statistically significant (P=0.218). In a real-world setting, for patients with CAD, IM therapy was associated with a decreased incidence of revascularization and showed a potential benefit in reducing the incidence of cardiac death or MI.